Cherry Blossoms in Singapore is no longer just a fantasy. From now until 27 March 2016 from 9am to 9pm daily, the Flower Dome at Gardens by The Bay will showcase these pretty sakura or Japanese cherry blossoms, with more than 20 varieties on display. As of Monday 14 March 2016, most of these cherry blossoms are already in full bloom and if you are planning a visit down, it is a great time now. This has been dubbed as an ‘experimental floral display’ and the main aim is to showcase flowers that are not usually seen or found in Singapore. The display is aptly named ‘Blossom Beats’ and is styled as a traditional Japanese garden with different coloured cherry blossoms – from pure white to different shades of pink. We made our way down to Gardens By The Bay to experience the magic of these ethereal Japanese sakuras and enjoy them in full bloom. Everyone should know Dim Sum Icon in Hong Kong by now. Remember those adorable Gudetama dumplings with molten centers that everyone was posting photos and videos of on social media? Well, to kickstart the new year, Dim Sum Icon has changed its Gudetama concept to a Little Twin Stars one with adorable dim sum items that will totally melt any girl’s heart. Dim Sum Icon changes their character themes every three months and this Little Twin Stars theme will last till the end of April 2016. Then, a surprise new theme will replace this one. Of course, we could not resist trying out these dim sum ourselves, so we ventured to The ONE at Tsim Sha Tsui in Hong Kong to have a taste. We were certainly not disappointed by the array of colourful pastel-coloured dishes. Cold Brew Coffee is a rising trend in town and we sure are embracing it. You might have seen food journals, magazines, blogs and your social media feeds bursting with pictures or reviews of Cold Brew coffees. It is for sure, the new it coffee at the moment. Why do people levitate towards Cold Brew Coffees? There are a couple of reasons. And the ones who truly appreciate their coffee will taste the robust and concentrated flavours in cold brews, while still enjoying the taste of the coffee itself as opposed to downing it like an espresso. If you are still confused, here’s a simple read on What You Need To Know About Cold Brew Coffee. You see incredible matcha cakes and pastries everywhere you go, but have you thought of making your own matcha treats at home? Preparing matcha treats at home can be easy peasy. Well, we are not talking about crazy matcha soufflés or decadent matcha truffles, but what about cookies and no-bake cheesecakes? Prep time for these recipes are all approximately 5 minutes, and they really aren’t rocket science. Go to your nearest grocer and grab a good packet of Japanese matcha powder and we can begin. Here are 5 Simple Matcha Recipes You Should Try At Home. What was slated to be an early 2015 opening, quietly shifted to a purportedly late 2015 opening. 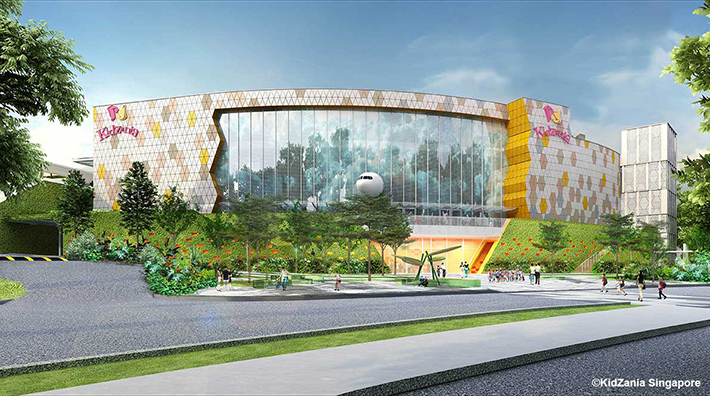 Now, KidZania Singapore has made an official statement to say that the entertainment centre will only officially launch on 12 April 2016. This was confirmed after they hosted a recruitment drive in August 2015, where a total of 150 jobs were made available to the public. KidZania promises an “interactive learning and entertainment experience for kids in a kid-sized city, through over 80 role-play activities”. Now, this makes waiting worth the while. Mark your calendars for April, because it is going to be a ton of fun and games here for your little ones. KidZania will be education through play! If you thought that McDonald’s Create Your Taste (CYT) was a great leap forward for fast food chains worldwide, be prepared to be blown away by their latest concept – McDonald’s Next recently launched in Hong Kong, and is the world’s first and currently only outlet. This spanking new concept in the heart of Hong Kong adds on a D.I.Y salad bar menu on top of burgers and whatnot. The interior is also nothing quite like the McDonald’s you know. Table service happens after 6pm daily here at McDonald’s Next. Also, choose from a selection of premium coffee beans. We ventured to Admiralty in Hong Kong to check out all that McDonald’s Next has to offer. Here is what you can expect from the new McDonald’s. Ice popsicles are our best friends in summer. They are refreshing, often pretty, and very satisfying. Do you know they are one of the easiest things to prepare? Quite contrary to the funny recipes you see online with a hundred steps, we actually live by some simple recipes that do not require over-the-top ingredients and harder-than-rocket-science instructions. In our tropical climate, it is always important to keep your bodies hydrated and popsicles are probably one of the best remedies. If you are health-conscious, we have a recipe using only fresh fruits, with no added sugar. If you’re a chocolate-addict, we have a special popsicle made from pure chocolate fudge. 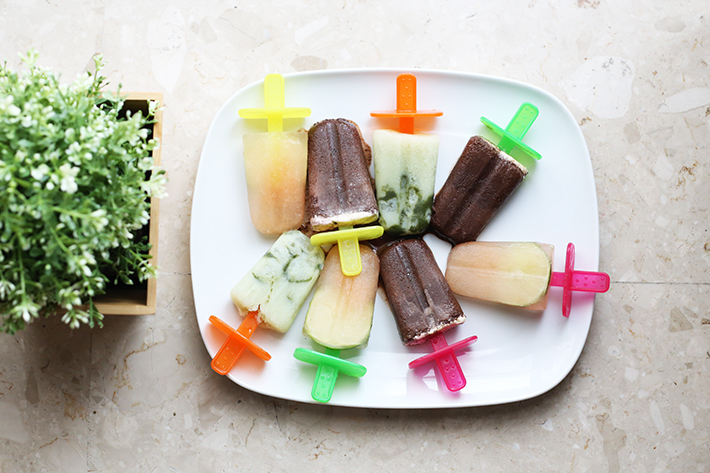 Here is our take on How To DIY Fun & Simple Ice Popsicle At Home! A new Korean wave to hit Singapore is Korean Bingsu in takeaway cups. Chot-Nun at Far East Plaza, is less than a month old and is the first in Singapore to introduce this concept. We have been waiting for someone to take the plunge and serve Bingsu in Llaollao sized cups that are handy to eat anywhere. This simple but brilliant idea also serves as an economical alternative to its otherwise pretty pricey older brother, which tends to cost around the S$20 mark for a bowl. We made a trip down to Far East Plaza to check it out, and here’s what to expect from Chot-Nun.